Cotton is a difficult crop to grow: yields can be decimated by severe weather (both droughts and flooding) and it is particularly vulnerable to pest attacks. Globally, this crop covers just 2.4% of the world’s cultivated land but uses 6% of the world’s pesticides (and 16% of insecticides), more than any other single major crop. These issues often combine to create disastrous economic, health and environmental consequences for many smallholder growers. 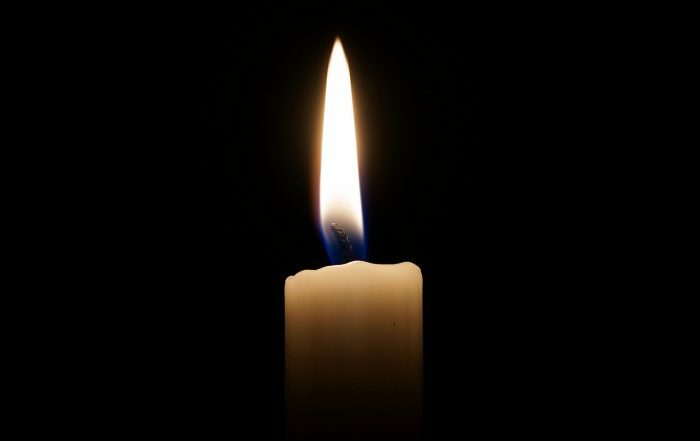 Thousands of cotton farmers and their families suffer from pesticide poisoning every year and many commit suicide as a result of debt related, at least in part, to high chemical costs. Cotton farming is of marginal profitability for many small farmers. Some can earn less than two dollars a day from their cotton. They receive little support or training and yields are low. 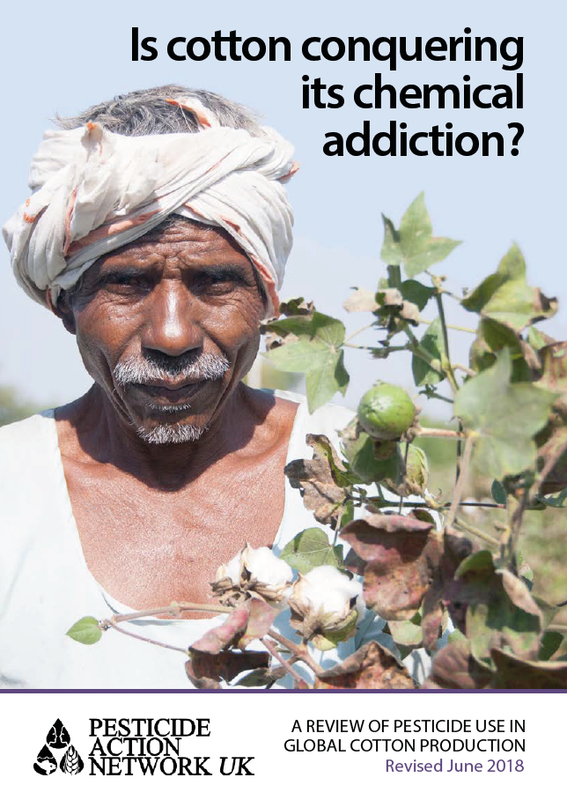 Smallholder cotton farmers spend up to 60% of their annual income on pesticides. Farmers buy agrochemicals on credit at the start of the season and often yields at the end of the season are too meager to pay off these costs – just one bad harvest can tip a farmer into debt. Pesticides are a major global killer. Nearly 1,000 people die every day from acute pesticide poisoning and many more suffer from chronic ill health, such as cancers and leukemia, neurological diseases and reproductive problems including infertility, miscarriage and birth defects. Pesticides are a huge drain on African economies and health services – the UN estimates that the health costs of pesticides across sub-Saharan Africa amount to an enormous US$4.4 billion a year, an amount almost equal to the total international aid assistance given to the region for health. A 2013 UNEP report concluded that the chronic loss of productivity caused by pesticide use diminishes Mali’s annual agricultural GDP per habitant by 50%. PAN UK has worked in Africa for more than 20 years, supporting thousands of farmers to grow organic cotton. We work with local groups – like OBEPAB in Benin and PAN-Ethiopia in Ethiopia – to provide funding, technical support and training. 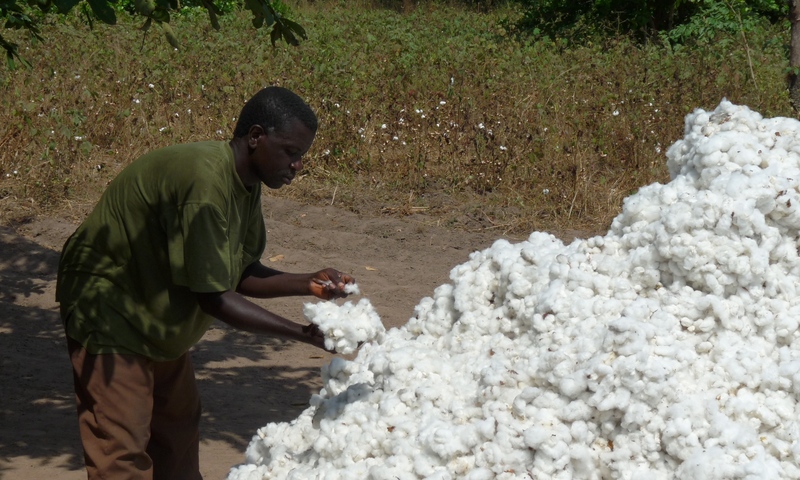 PAN UK has more than two decades of experience supporting organic cotton farmers in Africa, but we are always looking for new ways to help farmers secure better, more sustainable livelihoods. Our project in Benin was identified by independent experts as the best cotton project in Africa, delivering real benefits for farmers’ health and livelihoods. We have successfully introduced new, organic ‘Food Spray’ technology from Australia to our projects in Benin and Ethiopia. In 2017, we supported farmers in Ethiopia to be the first in the country to achieve organic certification for their cotton. 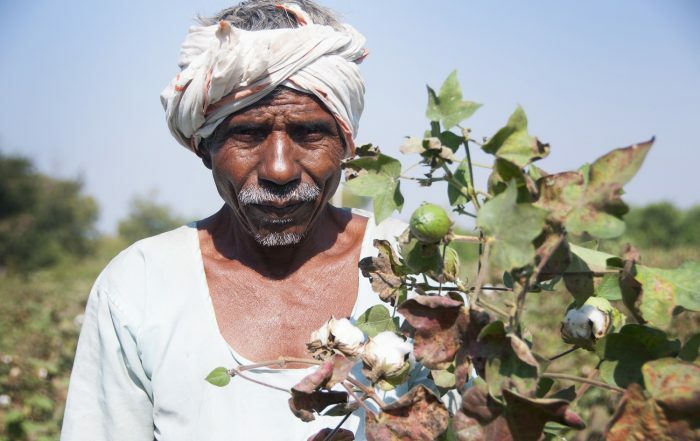 We are helping cotton farmers to diversify their incomes so that they are more resilient. We provide extension services, teaching farmers how to grow healthy crops and training them in non-chemical pest control, including ecology and entomology to recognise and manage pests and boost beneficial insects. 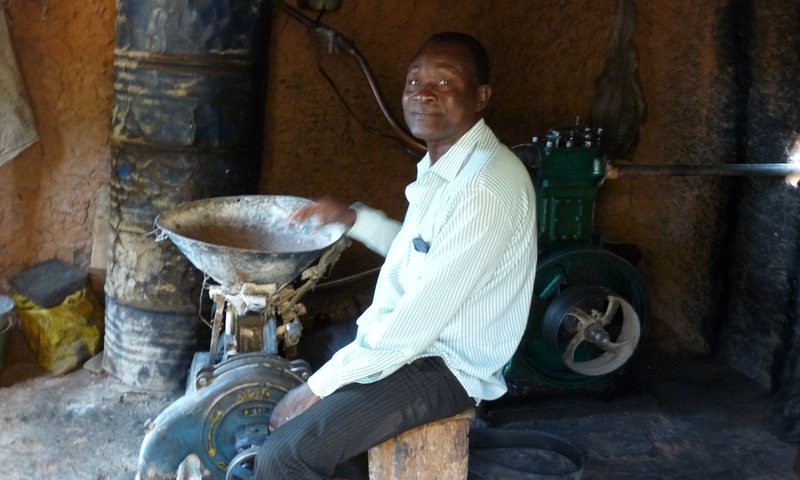 We provide training and advice to help villages establish co-operatives. These give communities a structure through which they can effectively articulate their needs to local government, share learning, and negotiate better deals with suppliers and traders. We conduct research into innovative pest control technologies that boost cotton yields and reduce reliance on pesticides. We have developed a harmless food spray (made from local ingredients) which attracts beneficial insects into cotton fields to control pests. Our projects support women and girls, with our project in Benin having one of the highest ratios of women farmers in Africa (40%). 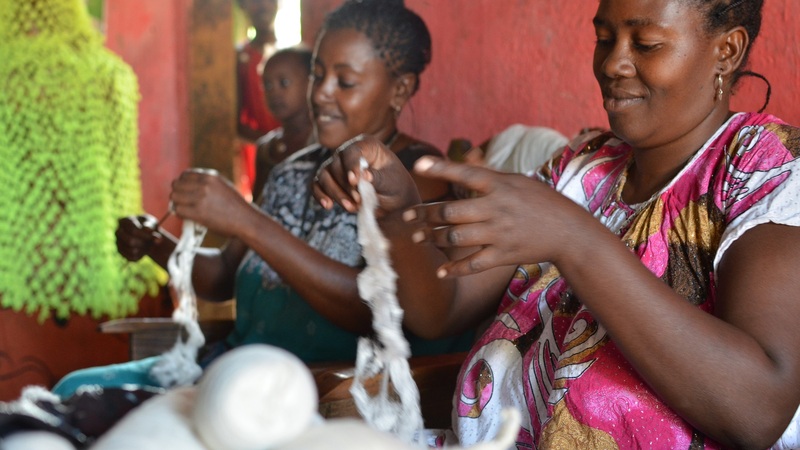 As well as cotton, we focus on crops and technology that are important to women and their financial independence. Our organic cotton farmers typically grow more than 15 other food and cash crops as part of their organic system. 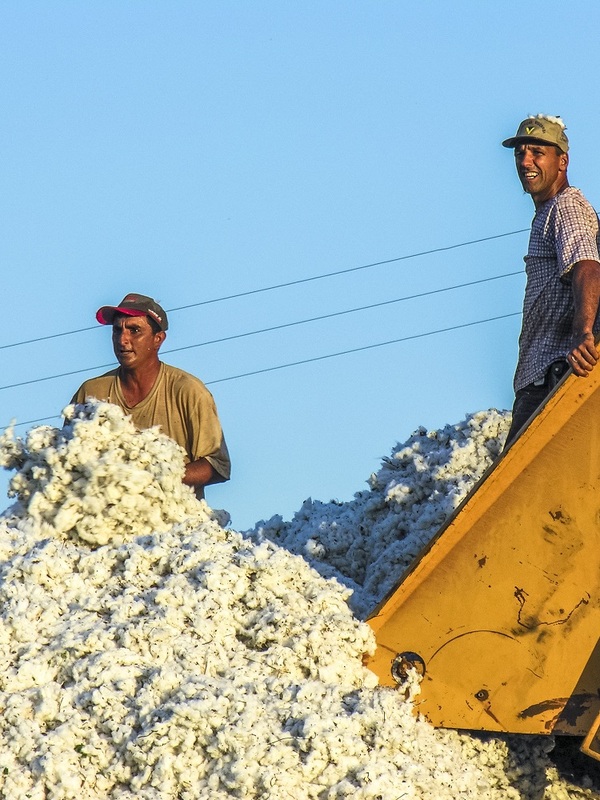 This means that they are not entirely reliant on cotton to feed their families. With financial support from TRAID, PAN UK and PAN-Ethiopia have trained over 2000 cotton farmers in southern Ethiopia, demonstrating the benefits of good crop husbandry, Integrated Pest Management (IPM) techniques and soil improvement without the use of expensive and hazardous pesticides. Agroecological cotton production requires confident, well-trained farmers who have gained field management and problem-solving skills and the ability to question and to adapt to changing contexts. Farmers that have participated in our Farmer Field Schools are achieving yields over 100% higher than untrained farmers in the same area. These yields are being achieved without the use of any harmful pesticides. The price obtained by participating farmers per kg of cotton has increased by 77% since the start of the project. Farmers in Shelle Melle are the first cotton producers in the country to achieve organic certification and they have already secured a ‘Grade A’ quality classification. Women’s spinning groups are also proving to be a success. 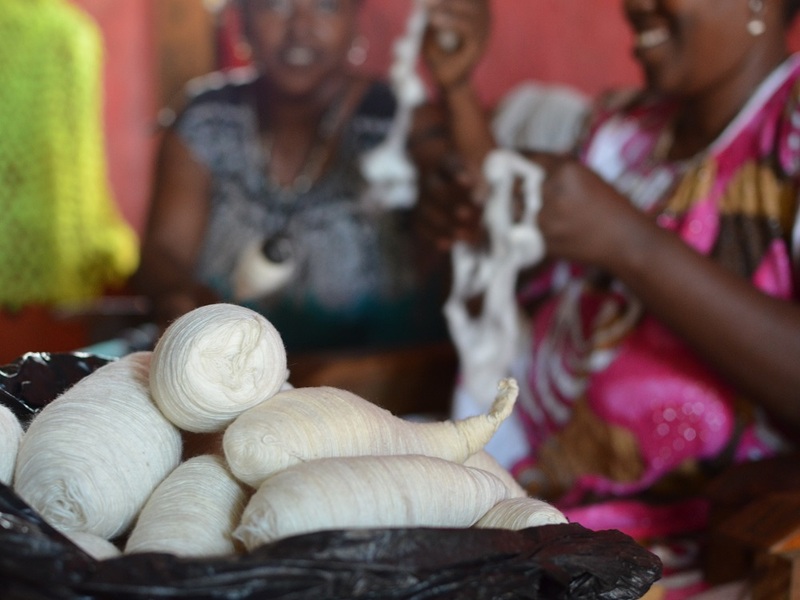 The project has helped these groups to learn about the quality required by markets in Addis Ababa and to make contact with new traders that are offering better prices. 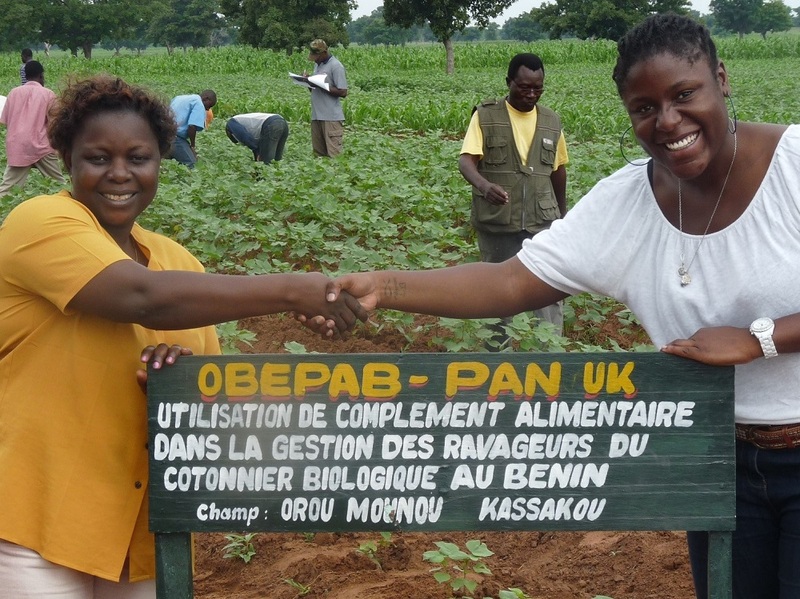 Working closely with our partner in Benin, L’Organisation Béninoise pour la Promotion de l’Agriculture (OBEPAB) and funded by TRAID and Big Lottery, PAN UK is helping to provide high quality training in organic production to almost 3000 smallholder farmers. In a recent independent study of the project, farmers reported that they are healthier, that they are growing more diverse crops and better meeting the food needs of their households, and that they have increased their incomes. They also stated that they value the technical training they are receiving. Through our Farmer Field Schools we provide practical, hands-on training in farmers’ fields, where we give them the confidence and skills to adopt new practices and share experiences. We are helping farmers to form co-operatives where they learn to manage the organic certification process and women are encouraged to take responsible roles. We are also helping farmers to engage in decision making at a national level through the influential Union Communale des Producteurs de Coton Biologique. Women are finding new avenues for extra income. In 2017, we helped two women’s groups receive training and equipment for good quality, organic shea butter production. There is increased demand for their higher value product. Our work allows farmers to escape the effects of ill-health caused by using chemical pesticides and to access a 20% premium for organic cotton. To increase production efficiently and sustainably, farmers need to understand how agricultural inputs, such as seeds, fertilisers and pesticides can either complement, or disrupt, the ecological processes on which farming relies. These include processes such as pollination and the natural pest control services provided by predatory and parasitic insects. The Farmer Field School (FFS) approach offers intensive training to new farmers during a season-long programme. 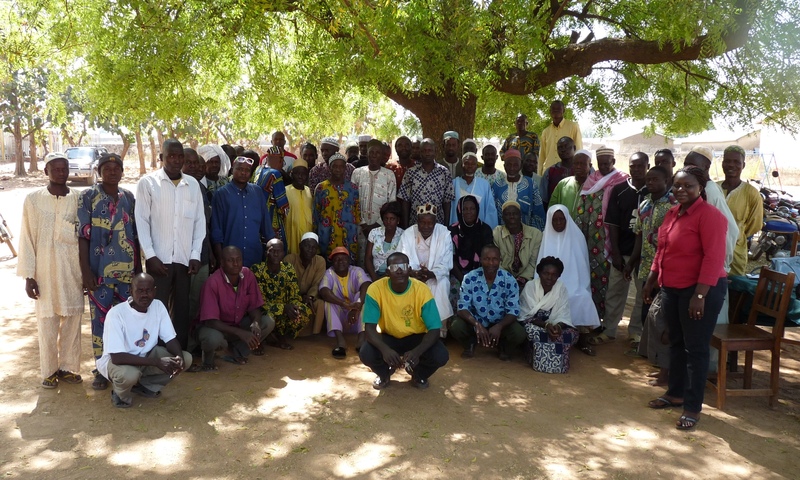 After graduation, farmers receive follow up support from field agents. 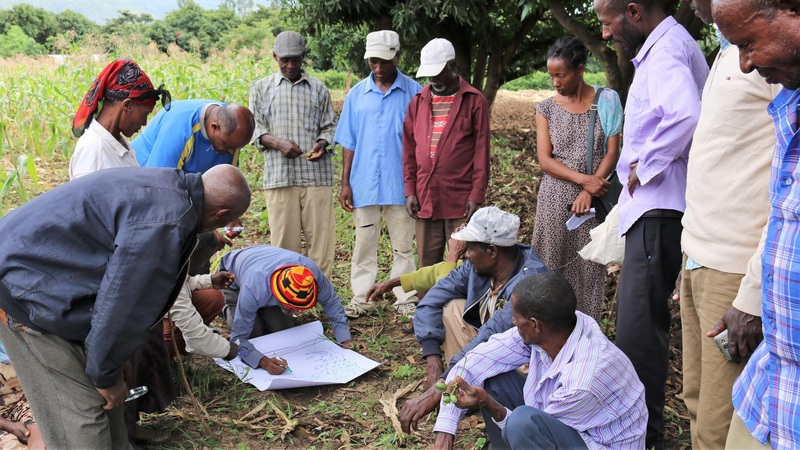 This helps the farmers prepare for the certification process required for organic production and reinforces farmers’ knowledge of techniques. 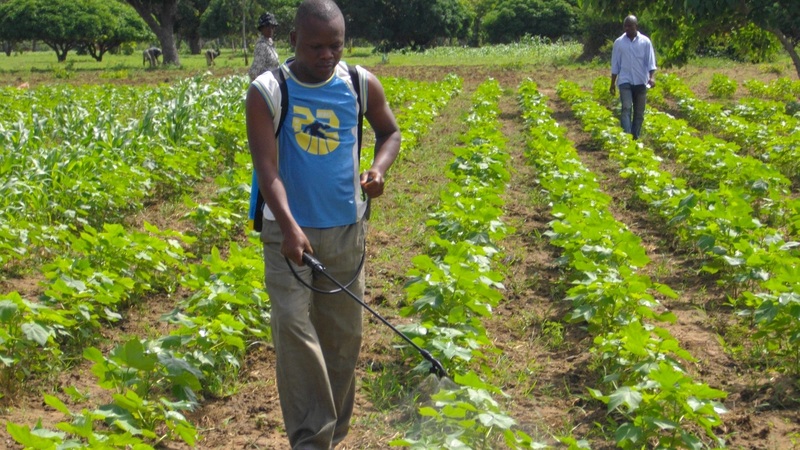 PAN UK began working with Integrated Pest Management expert, Robert Mensah, ten years ago to develop a food spray, using cheap and locally available materials, to enhance populations of beneficial insects in smallholder fields in Africa. Working closely with Davo Vodouhe and his team at OBEPAB in Benin, Robert conducted field trials and experiments in farmer’s fields to perfect the product to help farmers grow more cotton, more profitably, without the use of expensive and harmful pesticides. 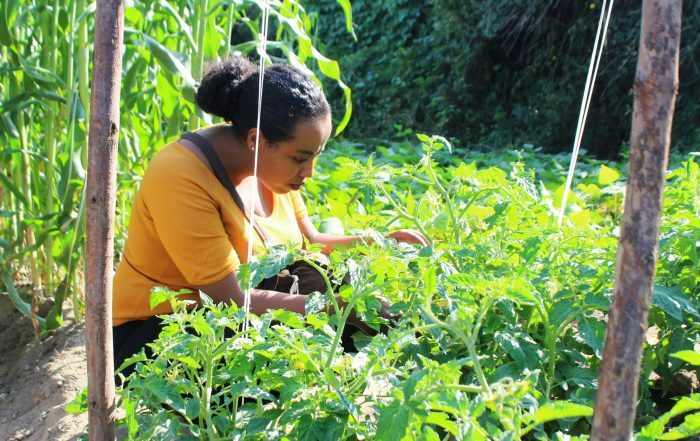 Supported by funds from The JJ Charitable Trust, farmers were then able to trial the innovative food spray method for improved pest management in Ethiopia. The food spray method enhances naturally occurring biological control of cotton pests by attracting more natural enemies of pests into farmers’ fields and encouraging them to stay there. Food spray odour is attractive to predatory insects which, once in the crop, search out and eat pest species. This method is now an integral part of training in our Farmer Field Schools in both Benin and Ethiopia.